If you’ve been wondering how to lower laundry costs, the answer is not to buy your supplies at the dollar store. In fact, that could very well sabotage your good intentions. In today’s economy, families try to save wherever they can. If it seems like your washer and dryer run nonstop, read on for some helpful hints to increase laundry efficiency. If you can find ways to make the process easier and more effective, you will save money as a natural result. Research shows that your washing machine runs most efficiently with full loads. So, unless you have delicate items or items that are prone to color bleed, don’t hesitate to mix up loads to fill up that tub. A full load means you use less water, energy and detergent per item, and that means more efficient laundering. Except in the case of highly soiled items, use cold water for both the wash and rinse cycles. Today’s detergents are formulated to be effective in cold water, so why waste the money to heat it? You can also use shorter cycles and still achieve clean clothes. Use a pre-treat or stain remover on any major spots, rather than subject the entire load to an extra-arduous go-’round. Another benefit is that your clothes and linens will last longer. Buy name-brand, good-quality detergents and additives and use the amount recommended by the manufacturer for best results and lowest net cost per load. Before placing wet clothes into the dryer, shake them out thoroughly. This helps avoid a wadded up item that will hold in the moisture and come out a wrinkly mess, but it also cuts down on drying time. Be sure to thoroughly clean the lint filter between each dryer load, and even once during a cycle if you’re drying items that have excess lint, such as fluffy towels. Experts recommend removing items from the dryer before they’re completely dry. This reduces running time, which saves energy, cuts down on wear and tear on the dryer and extends the life of your clothing. The small amount of moisture left in the clothes will evaporate quickly and you’ll never know the difference. If your family is putting full sets of clothes in the hamper one or more times a day, it’s time to have a family meeting. Unless an item is noticeably soiled, smelly or stained, there is no reason it can’t be folded and put back in the drawer or hung in the closet. Many people (and especially kids) admit to throwing things in the laundry basket to avoid putting them away. Consider assigning family members various laundry chores, so they have the opportunity to see the amount of work, water and supplies that go into doing just one load. When you buy clothing, look for quick-drying fabrics. These items don’t require machine drying or (usually) even line drying. If you use your clothes dryer to de-wrinkle, consider using an iron or clothes steamer, or simply hang the item in the bathroom while you shower. 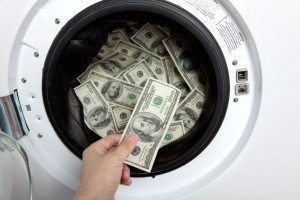 Laundry machines are two of the biggest energy hogs in your home, so reducing their use whenever possible will put more money into the family bank account come year end. 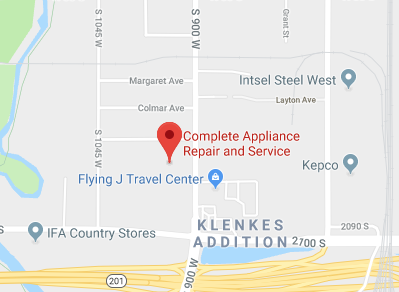 In northern Utah, Complete Appliance Repair provides a full range of appliance sales and service. With their same-day service and one-year warranty on parts and labor, you are guaranteed to have a great experience. When your washer and dryer are functioning at their best, you’re sure to enjoy lower laundry costs. This entry was posted in Blog and tagged Energy saving tips, Laundry Tips on April 30, 2015 by admin.